As a dietitian, I get a lot of questions about what to eat. I could totally skip the questions about "how do I lose X pounds in about 5 minutes" but I love the questions where people are truly looking for sound nutrition advice. This summer, my husband's cousin was asking me about what to eat before her swim meets. She said that if she eats too much, she doesn't feel well when she races. If she eats too little, she doesn't have enough energy to feel strong while competing. 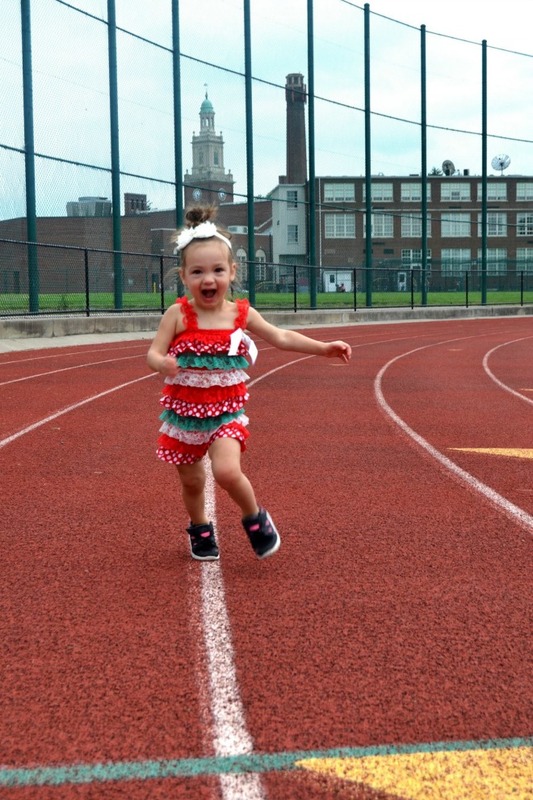 My daughter is not in sports yet but she never, ever stops running around! 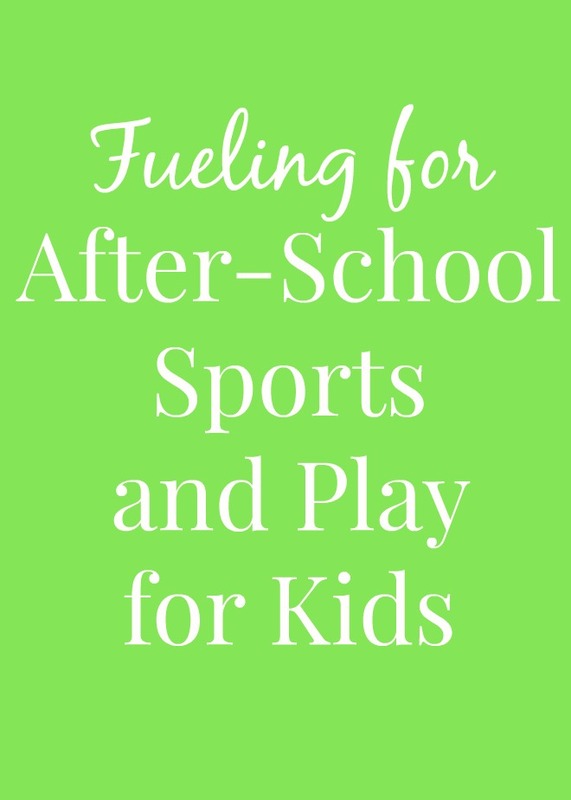 That was a great question for an 11 year old and I was happy to provide her with tips and advice of what to eat before a sport or playing outside. Eating right before exercise is important for feeling your best. If you eat a greasy cheeseburger before an hour of intense sports, you are not going to feel great, trust me. If you skip eating, you may feel like you do not have enough energy to make it through your activity. Therefore, eating the right thing is very important to feel strong and perform your best. Foods high in carbohydrates help to keep your glycogen stores full and keep you energized through your sport. Great choices include a banana, toast with peanut butter or a homemade energy bar and hour or two before a sport. Oatmeal is perfect as well because the fiber helps to provide a steady supply of energy through your exercise. Protein is also good before a sport such as a handful of nuts. Dehydration is one of the scariest parts of exercise because it can make you feel awful and you may even need medical attention if it gets bad enough. The day before your sport, have a couple extra glasses of water and the day of the event, drink water before, during and after your exercise. When you sweat, you lose water through your skin. Sweating is the way that your body cools itself down when you get hot. If you lose too much water by sweating, you can get dehydrated. Typically, sports drinks are not needed for exercise around one hour long. Water is the best choice for hydration. Eating directly before a sport can make your stomach feel upset. If you need to eat something right before, have something simple like crackers or toast. Two to three hours before an event, you can have a small meal such as a smoothie with yogurt and fruit. Some great small meal choices are Chobani Kids or Chobani Tots pouches and tubes. I love these Chobani products because they offer both protein and carbohydrates without too much sugar before an event. They are easy to take on the go and also make a great snack for after an event. They come in convenient pouches and tubes to make it easy for kids to eat and enjoy. My daughter loves these and asks for them all day long. The pouches are a bit easier for her to eat at age two but she likes the tubes as well. I like the grape flavor the best and she likes the spinach mango. These products have no artificial preservatives, sweeteners or flavors. The Chobani Kids products have 25% less sugar than other brands of kids' yogurt, are a good source of calcium and have have double the protein of typical yogurts! The Chobani Tots is great for toddler with omega 3 and probiotics. Calcium is important for kids because it helps to build strong bones which are less likely to break when doing different sports and activities. The Chobani products are good sources of calcium. Calcium is also find in milk, cheese, green leafy vegetables and calcium-fortified products. If you are having a big meal, allow 3-4 hours for the food to digest. This includes food like pizza, chicken and pasta. If you eat foods like this too close to your event, you may not feel well. Fat is not the enemy typically but skip having a high-fat meal before a sport because it will upset your stomach and may slow you down. Limited amounts of fat such as what is in eggs or yogurt is fine. Wait until after your event to have your lasagna, chili or pizza. Feeling good for a sport or play is not just about eating well that day. It is about eating well daily. Kids need a good balance of whole-grains, lean proteins, fruits and vegetables and calcium rich foods. Limit junk food such as candy, cookies, cake, pop, chips, etc. Kids need to also ensure that they get enough iron in their diet. Without enough iron, you may feel tired more easily and not have the energy that you need for your sport. Iron-rich foods include meat, dried beans, dried fruit, leafy greens and fortified cereals.